Okay friends, New York is less than 4 weeks away. When I first put it out there that I needed to raise $2600 to run the New York Marathon for Autism Speaks, you put me there in less than 4 weeks. I was amazed and humbled how quickly my circle of friends rallied around to support this cause that is so very important to me. I am extremely grateful. For the last couple of months however, I’ve been stuck at a little over $3,000. Nothing to sneeze at for sure, but I know I can do better. So I’m throwing out a challenge. That’s right. 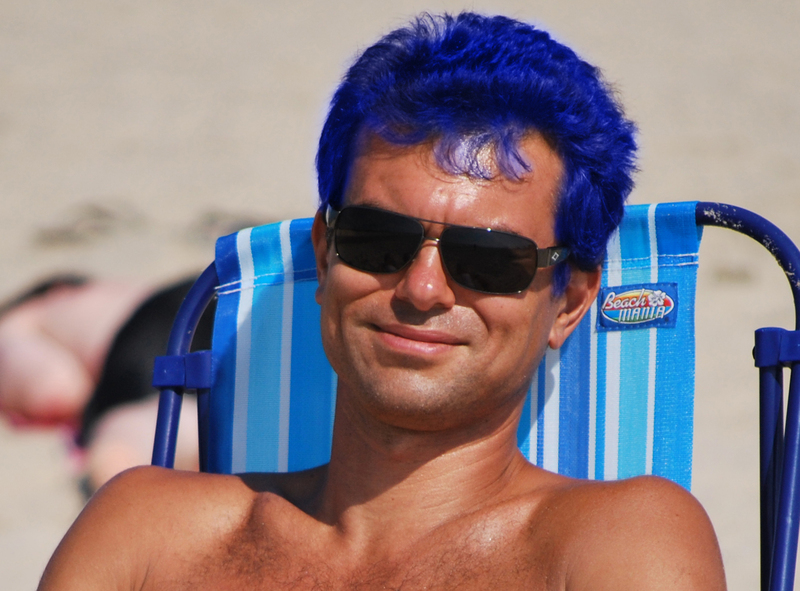 I will, for the first time in my life, dye my hair, and not only will I dye my hair, I will dye it Autism Speaks Blue. Come on. How many of you wanna see me walking around New York City with blue hair? 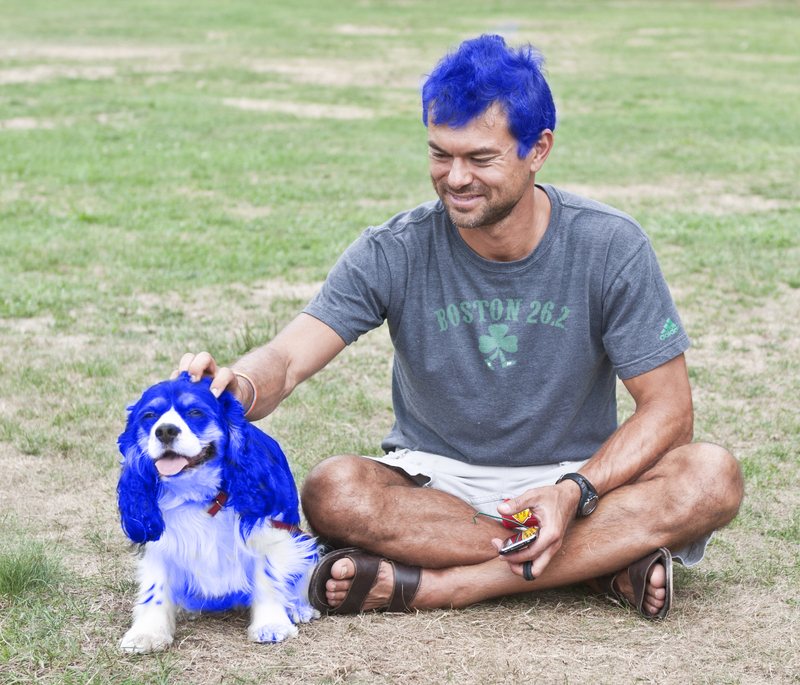 Get me to $10K, and maybe I’ll even dye the dog! Dear God in heaven, please make this come true…I would have preferred green for obvious reasons….but blue will work! I promised someone on dailymile that if I hit $100K that I’d run dressed like a Smurf! For 100k, you’ll run as Smurfette. fine…for $100,000 I will run as Smurfette…but if we get to $150,000 you’re running with me as my pacer! No can do, Luau. Already raised nearly $3000 for the cause. You are doing a great job! nice! Way to go! Wherever it’s being raised, as long as it’s being raised is good enough for me! note to self: never photoshop any pics of luau; he’s handy w/ photoshop too. I’m pretty handy with video editing too!